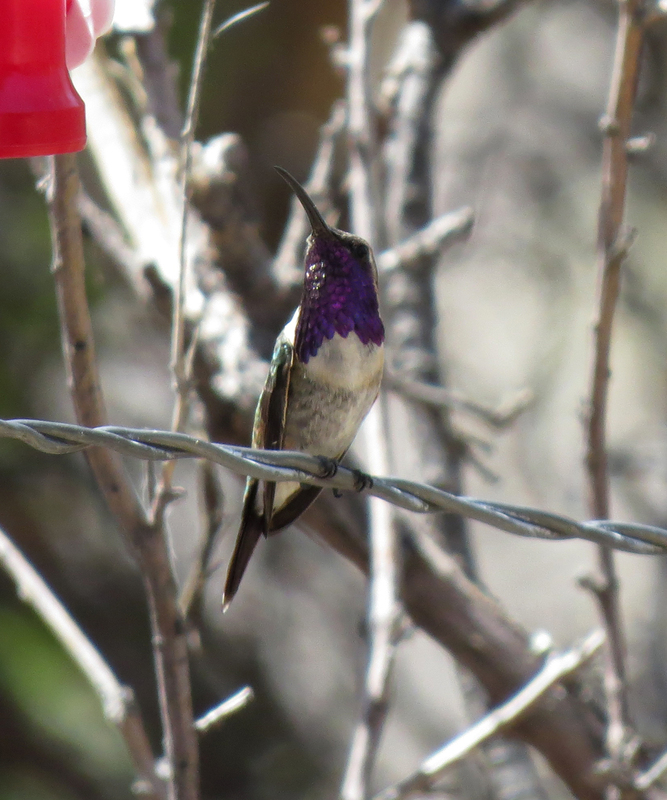 One big draw of southeastern Arizona is the diversity of hummingbird species. The greatest diversity is usually found during the monsoon season of late summer, but even in mid-April I found eleven species. Here are some photos of the more cooperative ones. 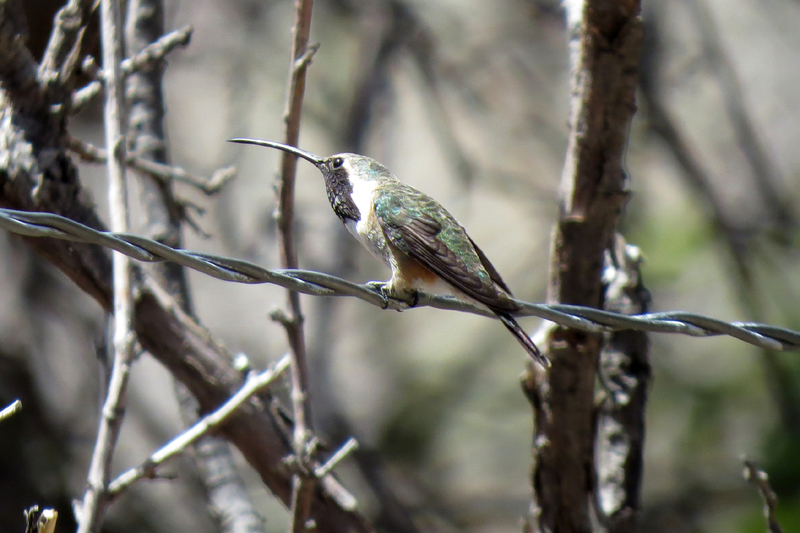 Broad-billed Hummingbirds were the most frequently encountered species. 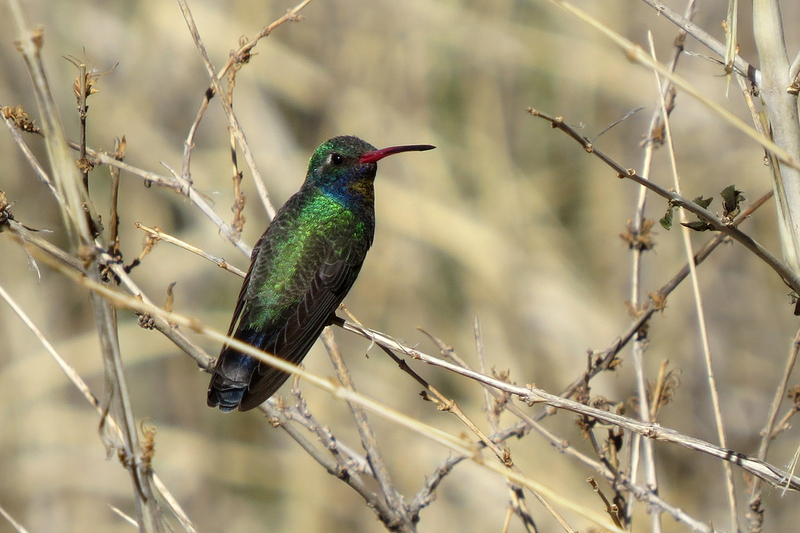 This male was at Patagonia. 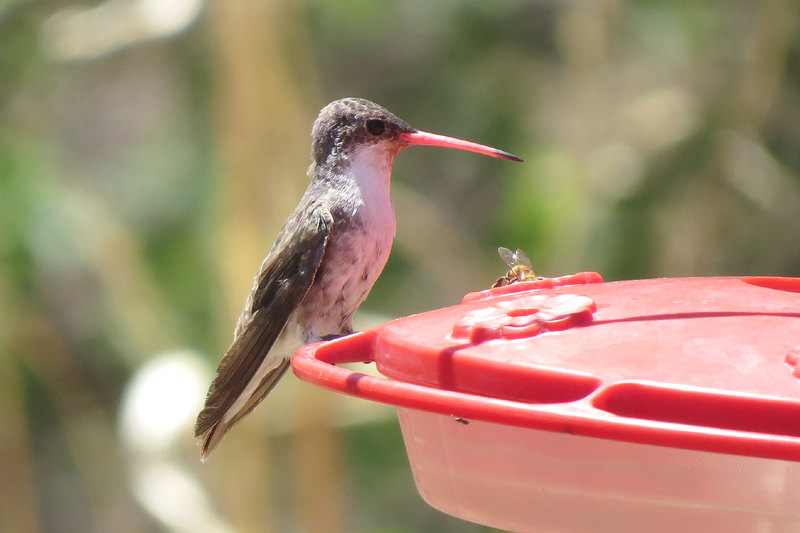 Black-chinned Hummingbirds actually have a lovely purple gorget, but the light has to hit them just right for it to show its colors. Magnificent Hummingbirds look completely black most of the time. 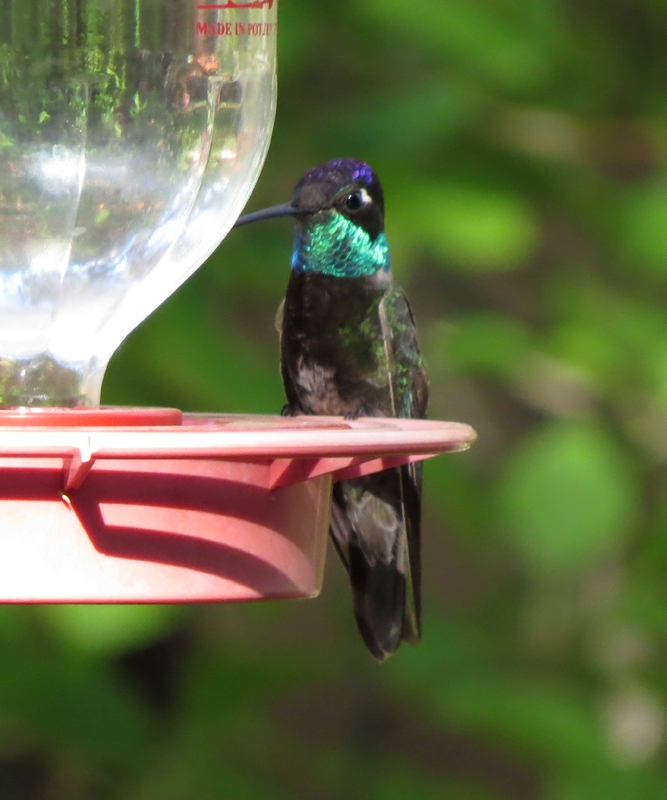 Like the Black-chinned, the light has to hit them just right to see their colors. This blurry shot was the only one from the trip that showed any color at all. 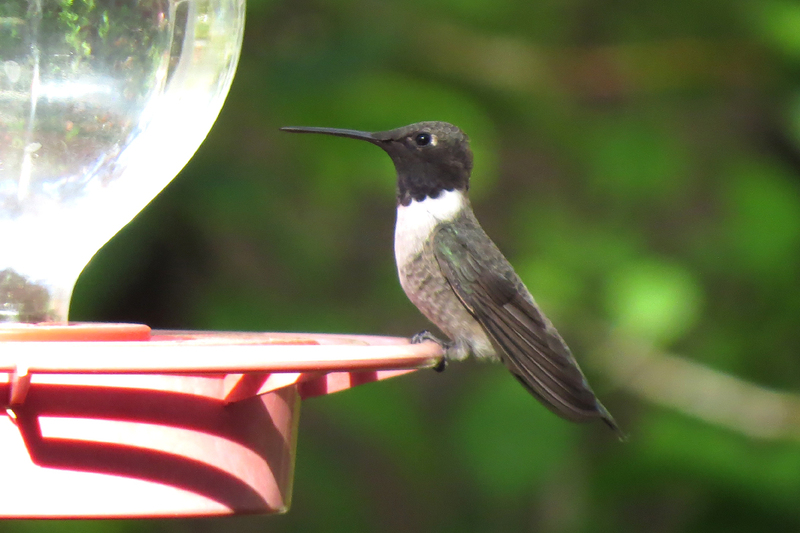 The long tail and long curved bill are distinguishing marks of this Lucifer Hummingbird. 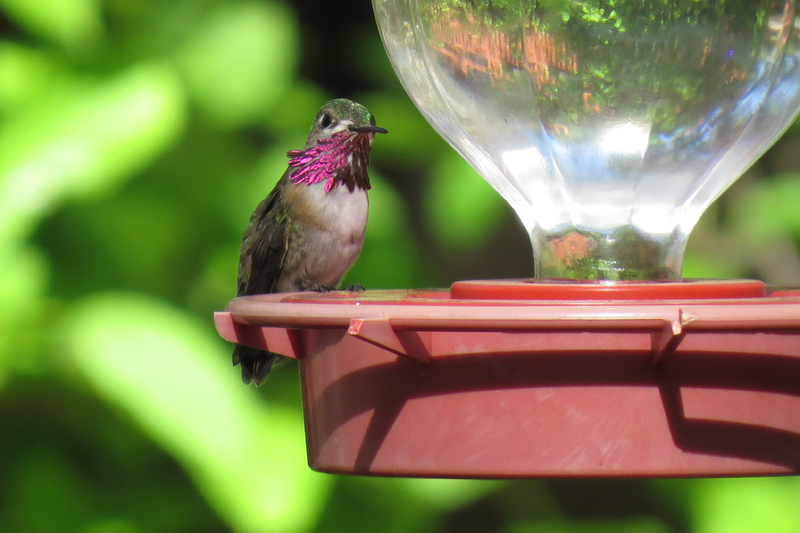 Here’s a better look at the gorget on the Lucifer Hummingbird. 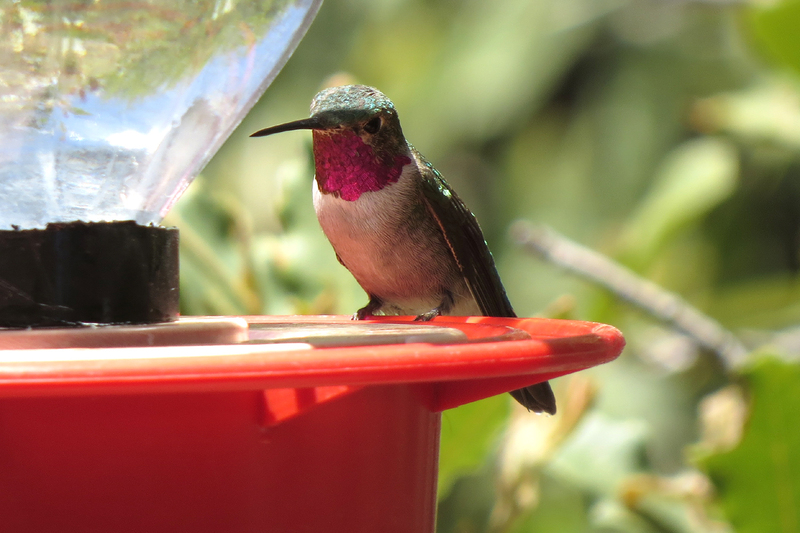 This entry was posted in beyond OR and tagged Black-chinned Hummingbird, Broad-billed Hummingbird, Broad-tailed Hummingbird, Calliope Hummingbird, Lucifer Hummingbird, Magnificent Hummingbird, Violet-crowned Hummingbird. Bookmark the permalink.